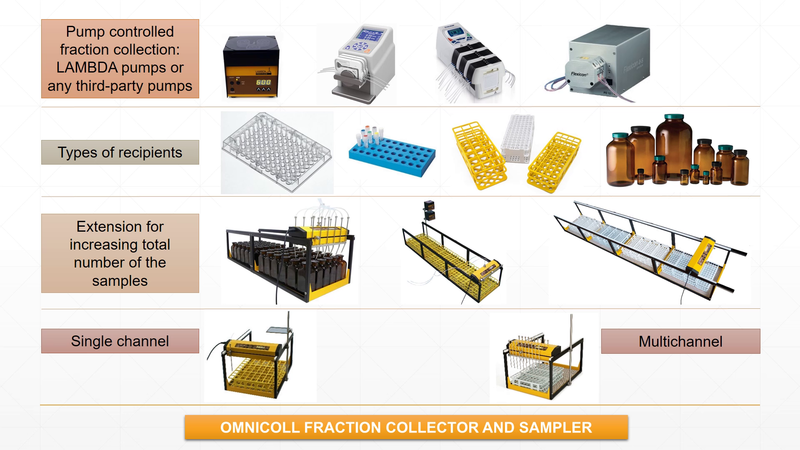 OMNICOLL fraction collector can handle nearly all kinds of sampling tubes and laboratory sampling racks or recipients (drops to liters) available on the market. Micro titre plates, vials, titer tubes, test tubes, Nalgene lab bottles, larger volume bottles, beakers, flasks, etc. can be used with the fraction collector. 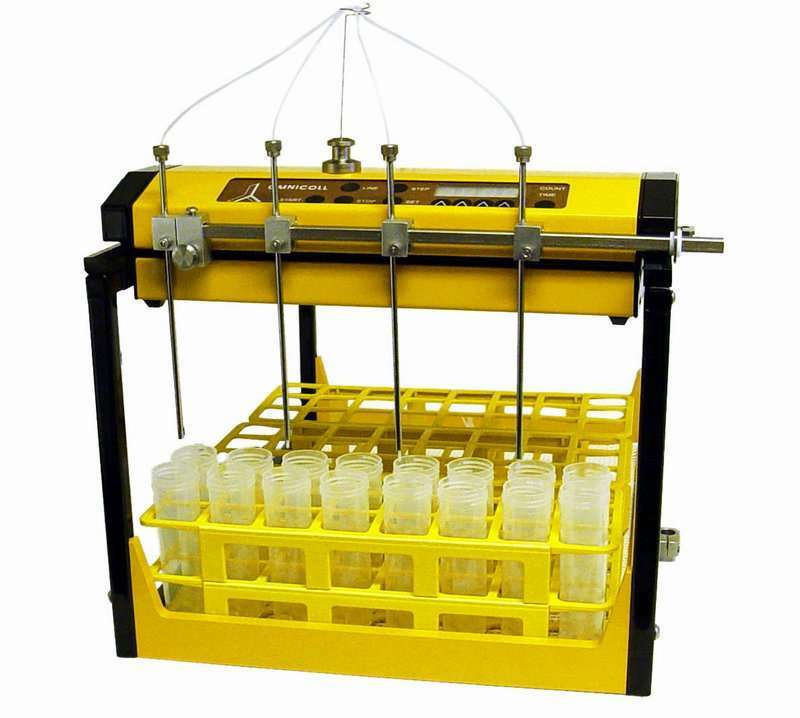 No special sampling tubes or test tube racks are needed to collect the fractions. 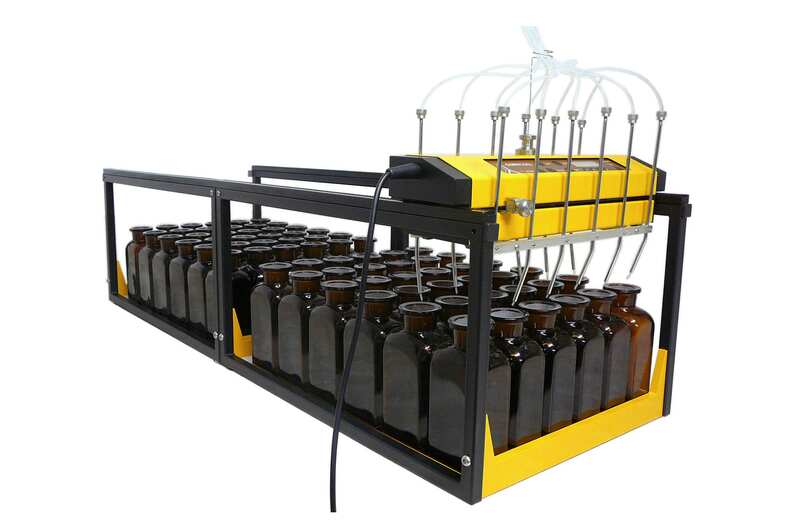 Example configurations of single channel and multichannel fraction collector could be viewed at www.fractioncollector.info/multi-stream-fraction-collection/. 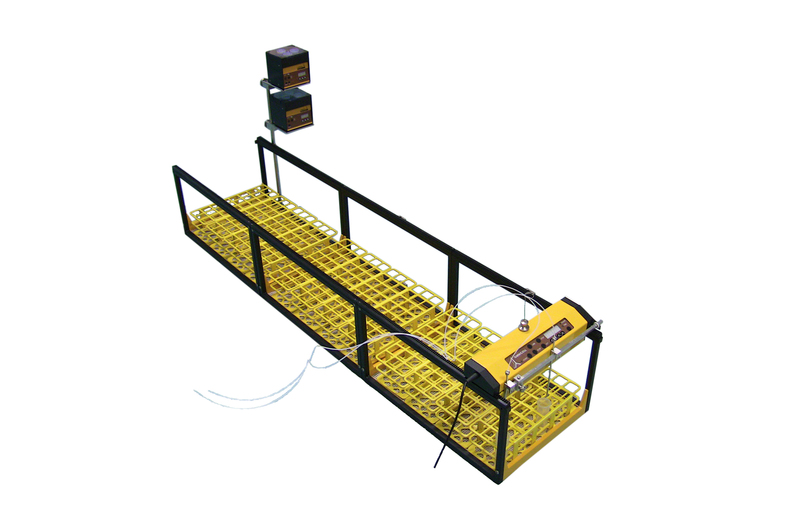 Fraction collection or liquid sampling based on volume / time / drop count / controlled by an external signal. Easy to program and handle. 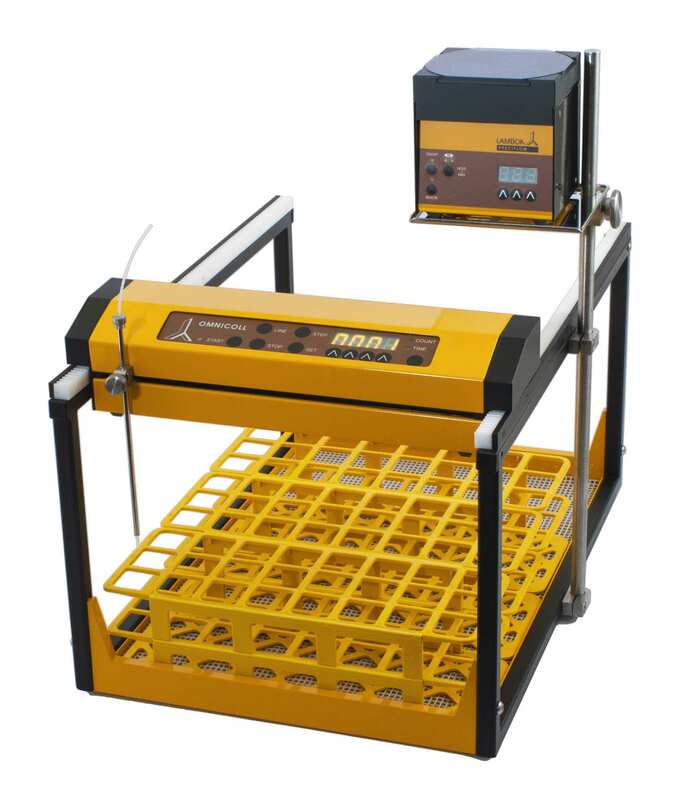 The tube capacity of the LAMBDA OMNICOLL fraction collector and sampler can easily be increased by adding rack supports. Virtually any number of such capacity extensions can be added. Modern microprocessor controlled system using several optical sensors allows for easy programming of the tube positions. The pause function can be used also for an automatic start-up of the fraction collection. 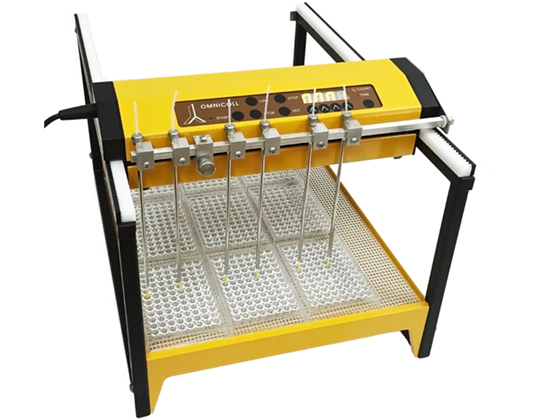 Washing of the tubing (line washing) between samples is possible, since the number of fractions in a series can be chosen. Solid metal construction makes the OMNICOLL fraction collector insensitive to solvents.